What’s up everyone! 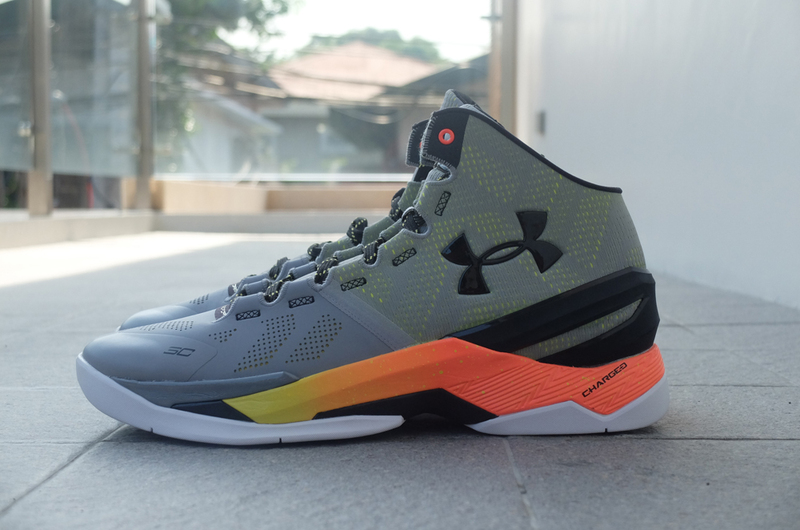 It’s been a while since our last review, but we’re back today to give you the Performance Review on the new Under Armour Curry 2. We’ve been blessed to have the shoe as early as September when Curry made his way to the country and other Asian Cities for the UA Roadshow, a month ahead of the global release. 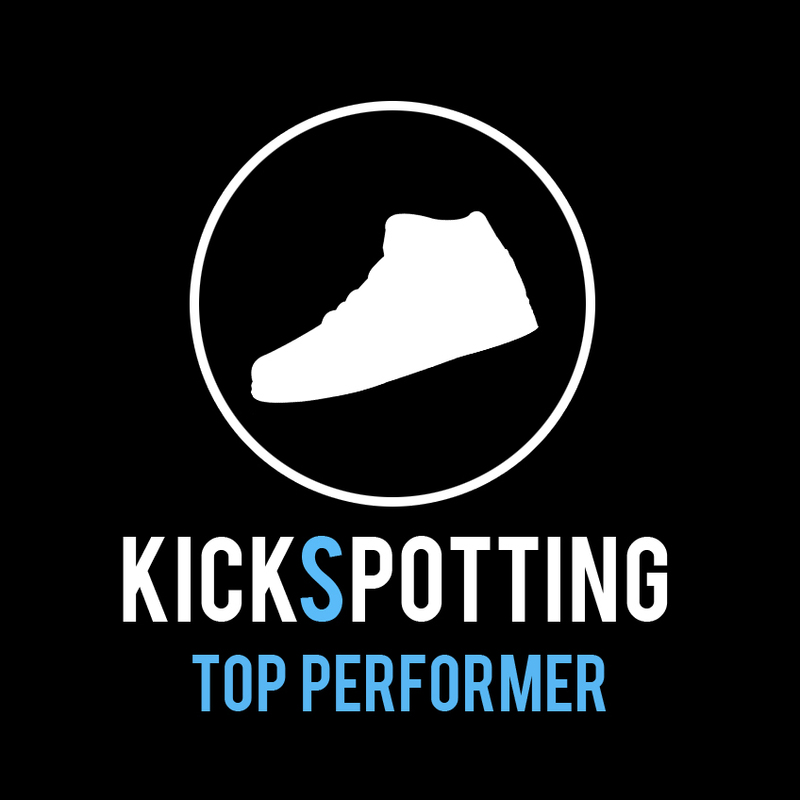 So we’ve been balling in the 2s for a few months now and we definitely like what this shoe has to offer. It’s been a little over a week now since the NBA season started and Curry has just been lighting it up night after night! The scary thing is he’s still improving. Is it the shoes? Let’s get right to it and find out. 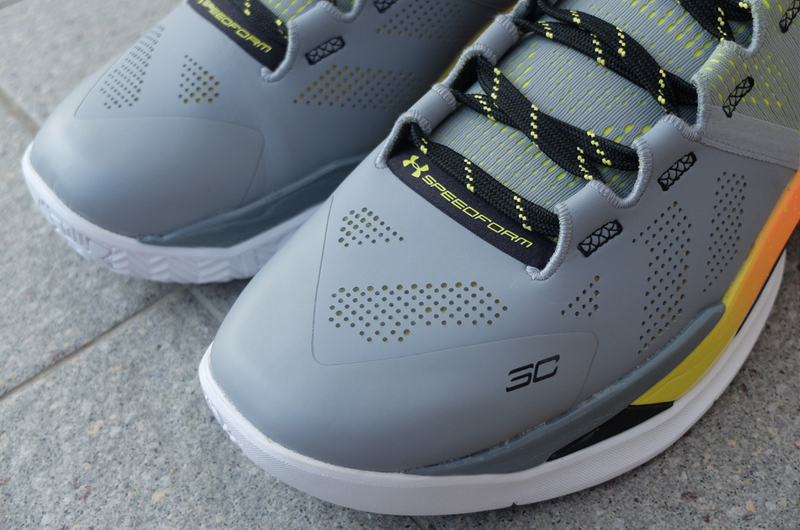 The Curry 2 features full-length Charged cushioning, a technology that was introduced on the Curry 1. The difference from last year’s model was that Charged cushioning was added over the Micro G foam. Cushioning on the 1 was ok but not great, and it didn’t give you that bounce on the forefoot. Right off the box, the Curry 2 felt really comfortable and I could feel that bounce right away just by walking in them. To compare it to the Clutchfit Drive which featured full Micro G, the Curry 2 sits right in the middle. Not as soft as the Clutchfit Drive, but not as firm as the Curry 1. Just right. On the court they felt great and I really loved the setup on this one. Bouncy, responsive, full impact protection. This helps when you’re always changing direction, cutting and doing sudden stops without missing a beat. You might not be able to do it as well as Steph, but at least you have the equipment to do it. They fit true to size but I think you can go a half size up for those with wider feet. If you got the Curry 1, just keep your same size. 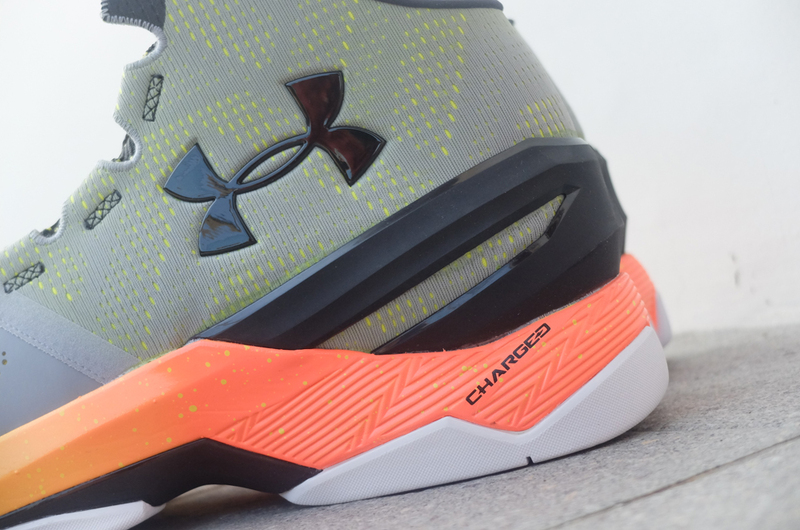 The Curry 2 uses Under Armour’s Speedform technology, which is a one piece seamless construction on the upper down to the molded heel cup to eliminate distractions. You won’t see any extra foam around the collar or a sock liner because everything is made up of a single piece of material. Compared to the Anafoam material on the Curry 1, Speedform offers an overall thinner look and feel, giving it a more sock-life experience that molds to your foot. This provides excellent fit that’s snug but doesn’t restrict your foot’s movement because the material is light and thin. The toe box is covered with a synthetic fuse material over the speedform for durability and stability where you need it, but it doesn’t make eh shoe stiff which was my initial concern. It requires almost no break in time overall. Lockdown was also great and my feet were always secure and planted at all times. The external heel counter runs all the way around the midfoot area for added stability and increased lockdown which kept my heel from slipping. 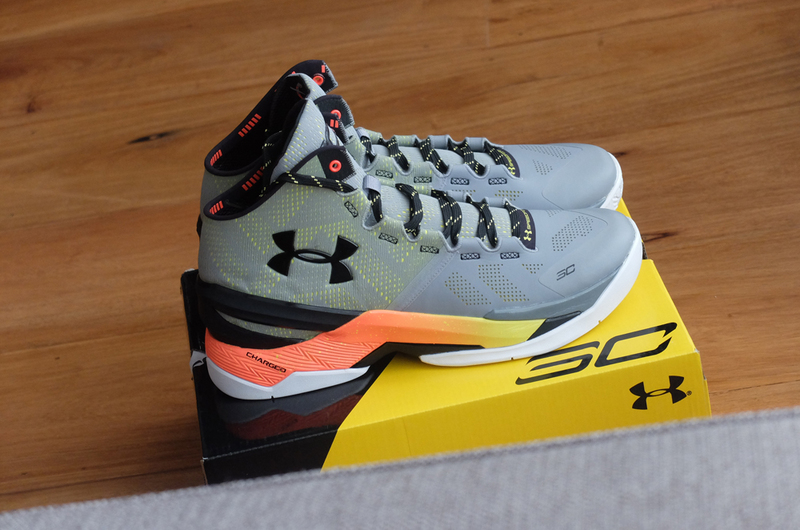 Under Armour was able to take what was good in the Curry 1 and improve them in the Curry 2. Under Armour ditched the Anafoam and incorporated the Speedform technology from their running shoes. The one piece seamless construction is thinner than the Anafoam previously used in the Curry 1 and provides a more precise fit around your foot. This makes you feel like you’re not wearing anything on the court, but still keeping your foot locked in and in place at all times. 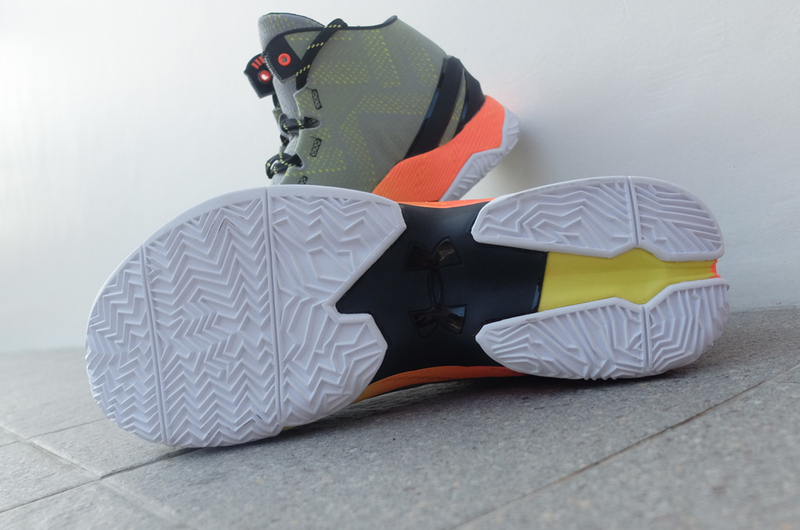 The fuse overlay on the toe box keeps the shoe durable but not stiff. It wasn’t uncomfortable at all and I didn’t feel any pain during all my runs. Plus, minimum break in time is needed. 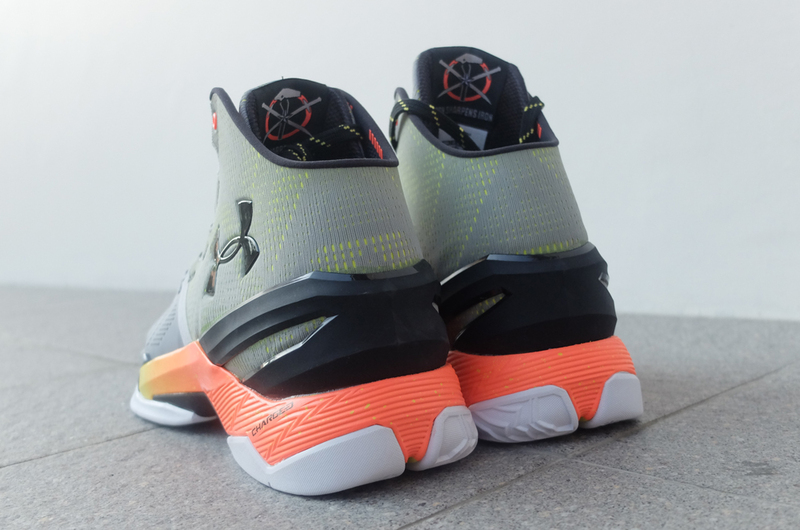 If you want to compare it to the Curry 1, Anafoam offers more structure and padding around the ankle, while Speedform is softer and thinner and molds to your foot better. UA has been using the traditional herringbone pattern on most of their basketball line up, but this time they decided to change it up a bit. 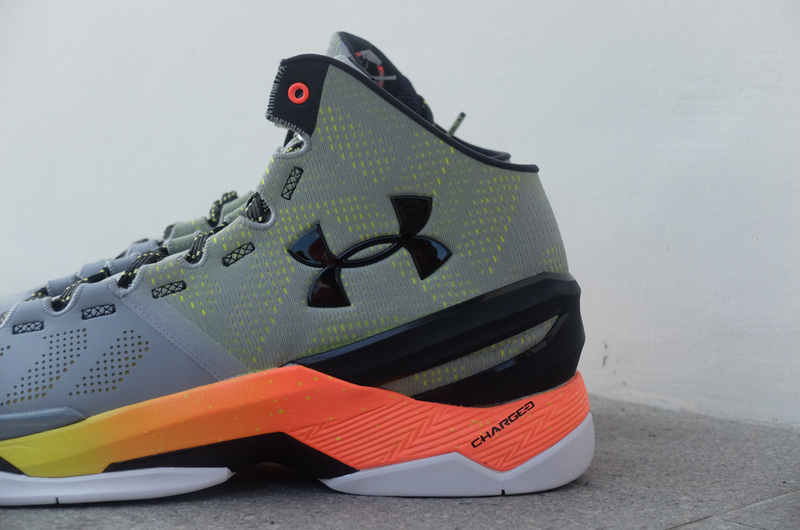 The Curry 2 features multidirectional herringbone which UA calls Organic herringbone. And just like regular herringbone, this performs very well on court. I didn’t have any problems cutting, stopping and pushing off and they held up really well on all my runs. The multidirectional pattern seems to cater Curry’s game and style, attacking you from all directions and at different speeds. 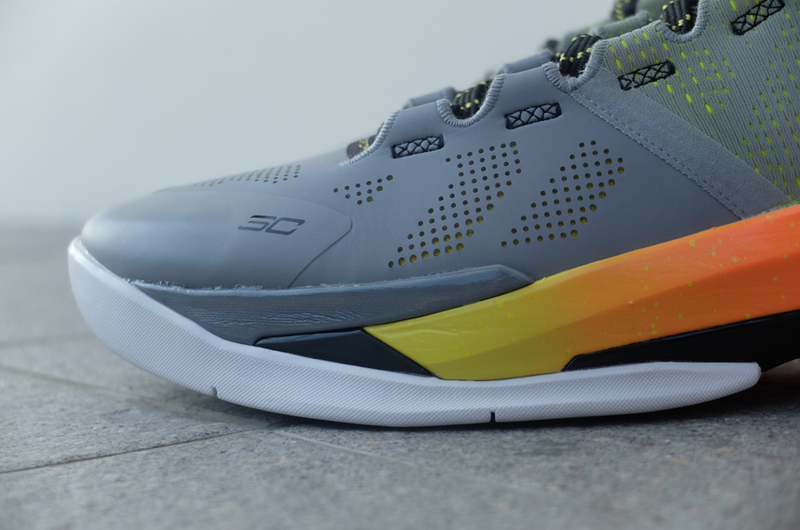 Another highlight of the Curry 2 is its support and stability. If the Curry 1 was stable, the 2s just took it up another notch. 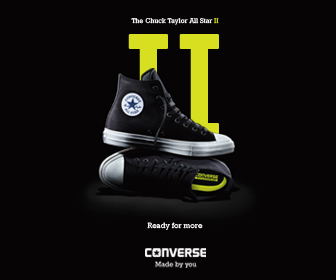 The main support comes form the great fit which keeps your foot locked in everytime. The large heel counter also keeps your heel from moving around. I didn’t experience any slipping the whole time. Stability comes from the midfoot and heel shank which really keeps your foot from tipping over. Even with the thinner and softer Speedform material, you get excellent support from all of these features. I wore the Curry 1 and 2 on each foot and tried to roll my foot outward , and the Curry 2 just felt like there was something stopping my foot and protecting it from rolling over. Overall, I really loved the Curry 2. It was just solid. Under Armour already did a good job on the Curry 1, and they were still able to improve on the cushioning, materials, traction and overall experience. You get that perfect blend of responsiveness and impact protection. This definitely makes my top 3 rotation right now. 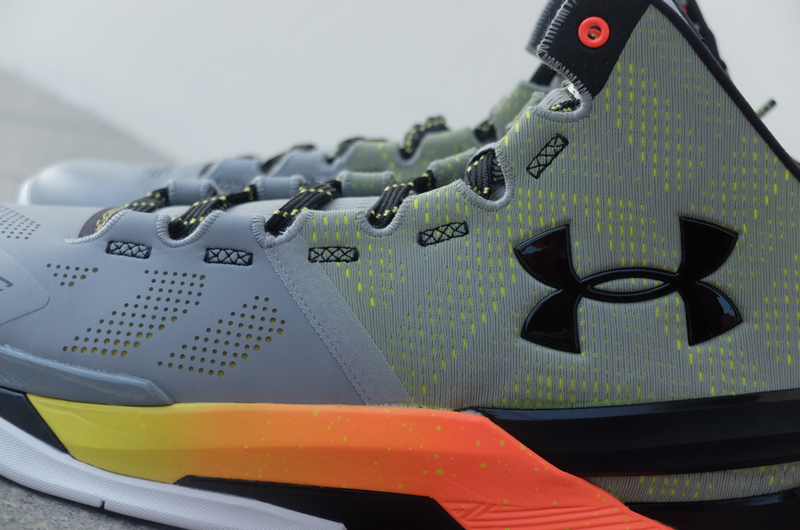 The shoe is perfect for guards, but the big guys can also enjoy all the features and benefits of the Curry 2. If you’re looking to cop a pair, the Dub Nation and Father to Son colorways are available at Titan for P8,995. They took everything good from the Curry 1 and made it even better. Another solid shoe from Under Armour. Haven’t tried them outdoors yet but I don’t think you’ll have any problem with them. Pretty solid all the way.